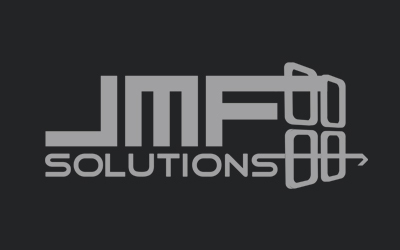 Daphne, Alabama, August 17th, 2016 – JMF SOLUTIONS, INC. announces that it has been named to the Inc. 5000 list of fastest-growing private companies in America. Over the years this list has included companies such as Southern Light, Callis Communications, Microsoft, Timberland, Vizio, and Intuit. JMF’s ranking this year is #2593. “We are honored to be added to the Inc. 5000 list. We are proud of the hard work our team has put in to achieve this and we are happy to bring this award home to the great City of Daphne, Alabama. I can only attribute this success to our great clients and employees!” – Mike Francis, Chairman & CEO, JMF Solutions, Inc.
“Its a tremendous accomplishment to be included among the top companies listed on the INC 5000 list. Our team of highly skilled professionals is the reason we continue to grow and expand the VIP WaveFly Internet & Voice Services footprint. Thank you to all of our clients for supporting us during our amazing journey.” – Blake Svoboda, President & COO, JMF Solutions, Inc.
Inc. is the only major business magazine dedicated exclusively to owners and managers of growing private companies, delivers real solutions for today’s innovative company builders. It provides hands-on resources ad market-tested strategies for managing people, finances, sales, marketing, and technology. Inc. also looks beyond work to address the entrepreneurial lifestyle. Inc. inspires and informs, with cutting-edge coverage that reflects our readers’ energy, brashness, and imagination. The 35th Annual Inc. 5000 Conference and Gala will be held October 18-20, 2016 at the JW Marriott Hill Country in San Antonio. Feature keynote speakers include Tony Robbins, Marvell Technology’s Weili Dali and New Beligium Brewing’s Kim Jordan. For details, visit www.inc5000conference.com.